Royal Challengers Bangalore have set the ball rolling to get the squad in match mode for the Indian Premier League Season 12, set to start from March 29. The Indian domestic players in the RCB camp were the first to hit the ground under the watchful eyes of Guru Gary Kirsten and bowling coach Ashish Nehra. 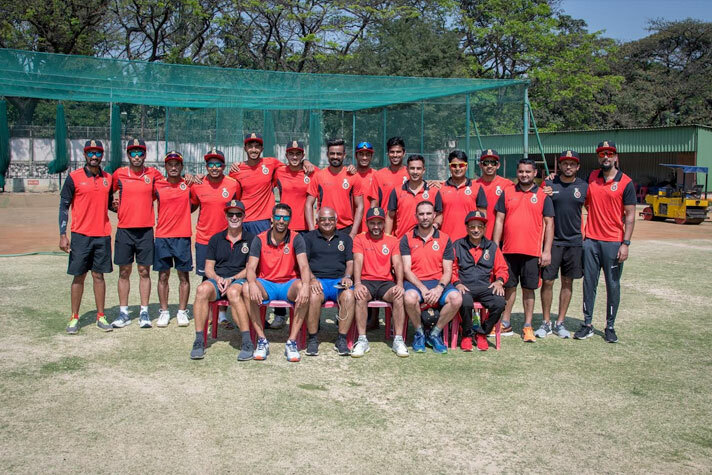 The first cricketing action in run-up to the IPL 2019, a five-day conditioning camp was held at National Cricket Academy, Chinnaswamy and Alur Stadium, under the guidance of coaches Gary Kirsten and Ashish Nehra. Akshdeep Nath, Devdutt Padikkal, Gurkeerat Singh Mann, Himmat Singh, Kulwant Khejroliya, Milind Kumar, Prayas Ray Barman, Shivam Dube, Pawan Negi, Parthiv Patel and Washington Sundar formed the first batch of the 11 players to attend the camp. “The camp gave us an opportunity to start formulating our thoughts around how we want to play and what our strongest team will look like for IPL 12. We had most our Indian players join and it was a great opportunity for me to see players I have not watched that often. It was also a good opportunity for the coaching staff to get together and formulate a way to work to get the best out of each player,” said coach Kirsten. The camp focused on strenuous fitness drills for conditioning and strengthening regimes including yoyo test under the guidance of their trainers, A.I. Harsha, Evan Speechly and Shravan Kumbagowdana.